WASHINGTON (AP) — Justice Ruth Bader Ginsburg was back on the Supreme Court bench on Tuesday, eight weeks after surgery for lung cancer. Wearing her customary black robe and ornamental collar, the 85-year-old justice walked unassisted to her seat beside Chief Justice John Roberts when the court began its public session. 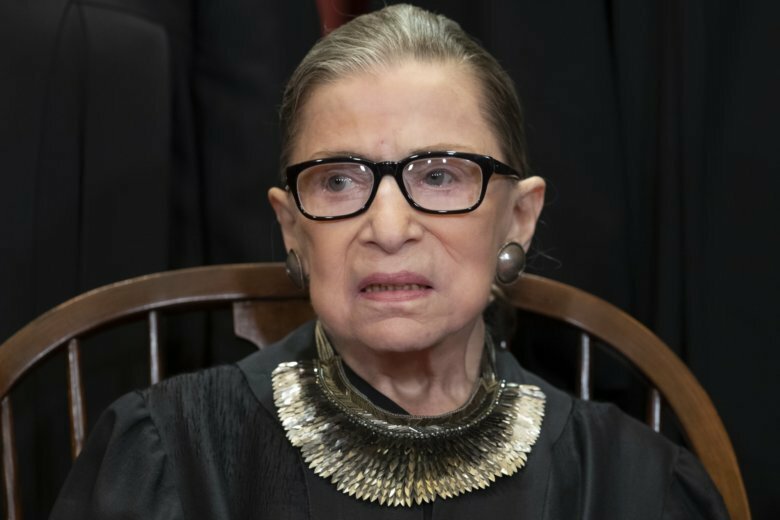 Ginsburg smiled as the justices stood before taking their seats, but no mention was made in the courtroom of the fact that she was returning after an absence. As she often does, Ginsburg asked the first question during the hourlong argument, and nothing about her appearance or demeanor seemed out of the ordinary. She went on to speak about a half dozen times. The case the court was hearing involves a 2011 patent law, the Leahy-Smith America Invents Act, with the justices being asked to answer whether the United States Postal Service counts as a “person” under the law. It was not clear how the case would come out, with both liberal and conservative justices seeming unsatisfied by arguments on both sides. Ginsburg had returned to the Supreme Court building on Friday for the first time since her surgery in December, but that was for the justices’ private conference. She also was captured on camera on Monday by the TMZ website walking through a Washington airport. Ginsburg was absent from the court in January as she recovered from the surgery. She missed six days on which the court heard a total of eleven arguments. But the court said she participated in the court’s work during her absence. The court will hear one more argument on Wednesday before hearing cases again on three days next week.